In the early days, before SIMMs and DIMMs, this must presumably have been limited by the number of RAM chips that would fit on the motherboard. There were exceptions, e.g. the Atari 8-bits and Vic-20 would take RAM on cartridges; the IBM PC would take it on expansion cards. But not every computer could do that. I am surprised, then, that one quantity I have never seen mentioned as a limiting factor is motherboard size. Looking at photos of e.g. 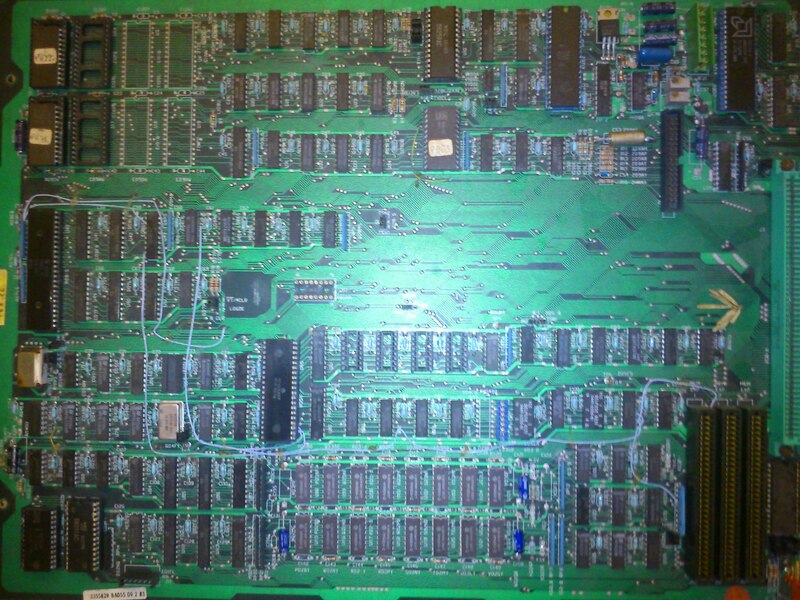 the IBM PC motherboard, it looks pretty crammed. The BBC Micro and Vic-20 look like they could have been bigger. The ZX Spectrum would have needed a bigger case; how much would that have added to cost? What was the largest practical motherboard size in the seventies or early eighties? Also, large motherboards in pizza box form factor systems were common for (expensive) minicomputer workstations around the 1980’s. But for high volume consumer systems, there were significant manufacturing cost savings in using the smallest possible PCB that would hold just the required components for the base model(s). To start with, a computer, especially back then, didn't necessary have a motherboard. Think S100 or Multibus. The SOL as motherboard based computer was an exception among S100 systems – and even it needed a separate memory board to be more than a limited terminal. In fact, looking even a little bit further back, we'll see that not only motherboard based systems where virtually unknown, but memory was never confined to such. After all, how to put a core stack on there? Single board computers where a development that only started in the mid 1970s when microprocessors became available. And even then, bus systems with CPU boards and separate memory boards where the norm. Altair's S100, Intel's Multibus I, SWTPC's SS50, OSI's model 300/500 bus, Motorola's EXORciser, Digital Group's bus system and so on. Even first single board computers which could work as stand alone systems like SDK80 or MEK6800D1 did feature their company's system bus. When independent and consumer focused machines became available the usually only had a minimal RAM capacity on board and featured either some expansion bus or a special memory connector for machine specific memory expansions. The Apple II was eventually the first machine that left that path by offering full memory expansion on the mainboard. "Full" means here up to what the CPU could handle by default. At that time 16 Kibit RAMs where available and 48 KiB was just 24 chips (the rest was occupied by ROM and I/O anyway). Not much compared to what the 'remaining' components occupied. Like with the IBM PC, the decision for the RAM size possible was more driven by the assumed market, than any size limitations. The size of RAM considered useful and/or needed depends a lot on the target market and application. A desktop machine didn't need much more than 64 KiB until the mid 1980s. A mini in contrast did – but then again, it wasn't motherboard based. Take this nice Olivetti M20 board of 1982. Clearly an upperclass (Z8000) workstation. The motherboard featured 'only' 128 KiB RAM (2 rows of 64 KIB). It wasn't really due to the board size (adding a few more rows of symmetric RAM would have been easy), but the assumption that 128 KiB is enough for most use cases. For expansion up to 512 KiB the memory bus could be used (black connectors). But not every computer could do that [take memory on expansion cards]. The number of machines totally without a way for memory expansion was rather limited and usually within the extreme low cost segment – then again, even the ZX80 could do so. The only one that limited way beyond what's possible that comes to mind is the Atari ST series and the early Macs. Here again it was a use case decision – and a very specific market. No argument for a general case. Bottom line: You haven't heard about, as it wasn't an issue – except in terms of money to pay for memory expansions. There were some large motherboards. However, a LOT of computers relied on daughterboards to carry the load. In the case of S-100 machines (from the original Altair on up) the CPU was simply one of the daughterboards and the motherboard was just for signal distribution, and RAM took one or more daughterboards. In the case of the Apple ][ and the IBM PC, almost anything - disk controllers, video cards (always in the case of the IBM PC, for more advanced than the standard in the case of the Apple ][), RAM expansion, etc. could go on daughterboards. So the motherboard size was actually not that much of a limitation. The exceptions were machines like the C64, TRS-80, etc. that had (typically) just an expansion bus without an actual card cage. It was a long time before I saw machines in the IBM compatible world that had video, network, HDD & FDD controllers all on the motherboard the way they are typically designed today. Until bank-switching techniques arrived, the real limiting factor for system RAM was the maximum address space that the CPU could address. In the 8-bit era, this was usually 64 kB, although some more restrictive CPUs (like the 6507 used in the Atari 2600) had fewer address lines (the 6507 could only address 8kB of memory). The Commodore VIC-20 needed expansion cartridges for RAM primarily because the motherboard uses low-density RAM chips that take a lot of space. Modern RAM expanders for the VIC use few chips, because higher-density RAM is not expensive now, of course. So certainly, practical considerations could limit how much RAM is put on a motherboard, but until you got to systems based on CPUs like the 8088, which could take 1 MB of RAM, the CPU addressing limitations are probably much more limiting than the physical space requirements to take the maximum addressable RAM. Not the answer you're looking for? Browse other questions tagged history hardware memory or ask your own question.